Develop an “elevator pitch” for your innovation. Assemble an effective management team. Fundraise via the equity markets or by utilizing Small Business Innovation Research (SBIR) Awards and Small Business Technology Transfer (STTR) funding. Understand the details behind a license agreement and obtain legal assistance for licensing and patents. 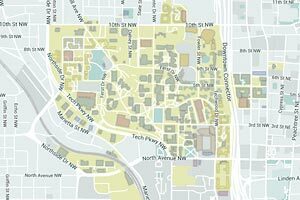 Navigate and use campus resources. 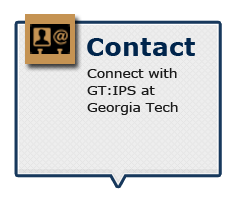 The GT:IPS training program is available to Georgia Tech faculty and students interested in learning about forming a company around a Georgia Tech innovation, whether or not the formation of a startup is pending. As a public university, Georgia Tech has a responsibility to ensure its research results are available for the benefit of the general public. 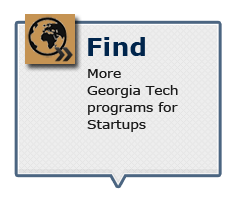 Commercial arrangements to further develop Georgia Tech technologies help ensure that the Institute’s most promising innovations are made available for the benefit of the community. After completing the GT:IPS program, the startup can enter into an express licensing agreement with outside entities that requires no negotiation, reducing the time it takes to finalize a deal with the interested parties. 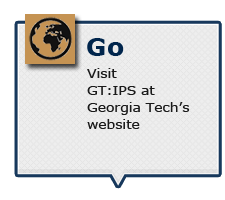 The Georgia Tech Integrated Programs for Startups (GT:IPS) is part of Georgia Tech’s Office of Innovation Commercialization and Translational Research and is affiliated with VentureLab and the Enterprise Innovation Institute (EI2) at Georgia Tech, which helps enterprises improve their competitiveness to significantly impact the economy.